The advertising ticker display at 1515 Broadway between 44th Street and 45th Street in Times Square was recently retrofitted by S|N|A. The display is located in the heart of Times Square's bow tie and at the center of some of the most coveted advertising space in the world. The new screen is comprised of updated S|Video™ LED technology. With a 10 mm pixel pitch, the display has 108 pixels high and 936 pixels wide. The new LED ticker is 30 feet, 8 inches long and 3 feet, 6 inches high. 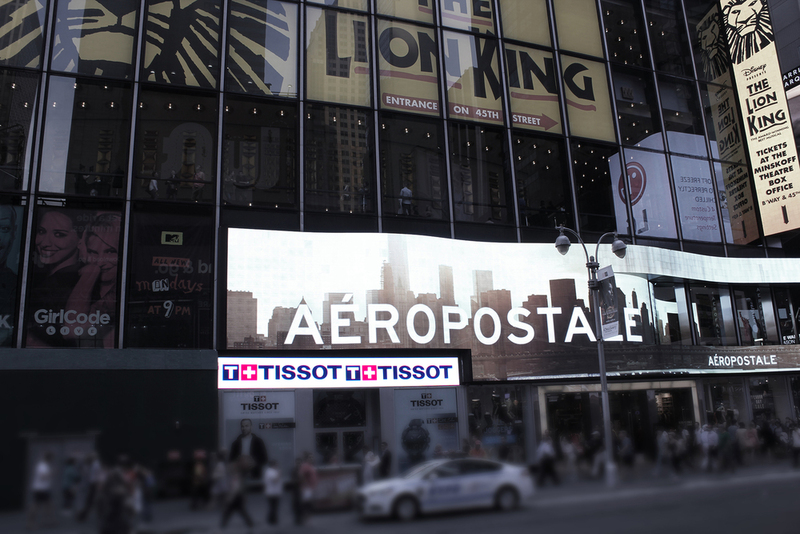 The display is just above the entrance to Tissot's retail store at 1515 Broadway. The Swiss watchmaker recently opened the new Times Square retail space. The LED video display is also positioned just below the Aeropostale LED screen and a few stories below another S|N|A LED video display outside of Minskoff Theatre. The outdoor-rated S|Video™ LED ticker employs high-end, surface-mount device (SMD) technology, where each pixel's LEDs are packaged together, allowing for crisp, clear imagery and a widened viewing experience. 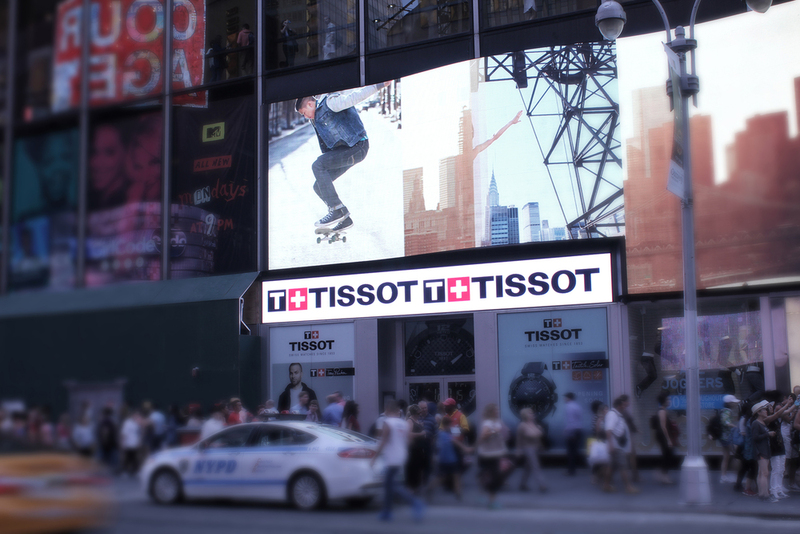 Adding to number of Sansi installs in the New York market, the Tissot display further illuminates a growing presence in Times Square. S|N|A has manufactured and installed several other notable New York City LED spectaculars, including the Express flagship display at 1552 Broadway, the Viacom displays at 1515 Broadway, the Citizen Watch display at 1500 Broadway, and signs at the NHL Shop on 6th Avenue.